Jeff Bezos’ Amazon has jumped into a crowded field of companies seeking to provide high-speed broadband, data and other communications services to the entire globe. Amazon’s Kuiper constellation of 3,236 satellites brings the total number of spacecraft in the 16 announced systems to 20,241 spacecraft. 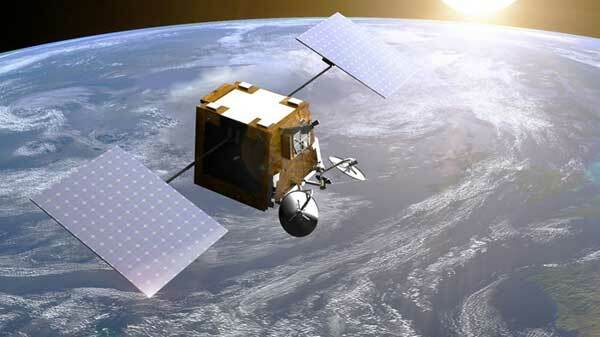 The competition includes SpaceX, Boeing, Telesat, SES and government-backed companies in China and Russia. 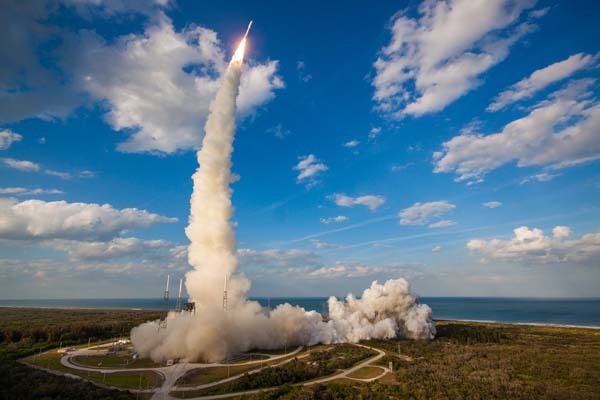 MCLEAN, Va., Jan. 16, 2019 (Iridium PR) — Iridium Communications Inc. (NASDAQ: IRDM) announced today the commercial launch of its Iridium Certus broadband service, the first new capability activated from the company’s $3 billion Iridium® NEXT satellite replacement program. Iridium Certus is a unique platform designed for the development of specialty applications and is the world’s only truly global broadband service, offering on-the-move internet and high-quality voice access. The service enables mobile office functionality for deployed teams and two-way remote communication for assets, autonomous vehicles, trains, aircraft and ships at sea. 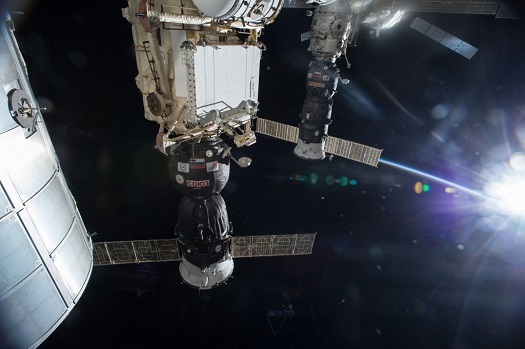 This also includes safety-of-life services, where Iridium Certus is uniquely suited for the critical communications needs of teams operating beyond the reach of cellular coverage, including first responders and search and rescue organizations. 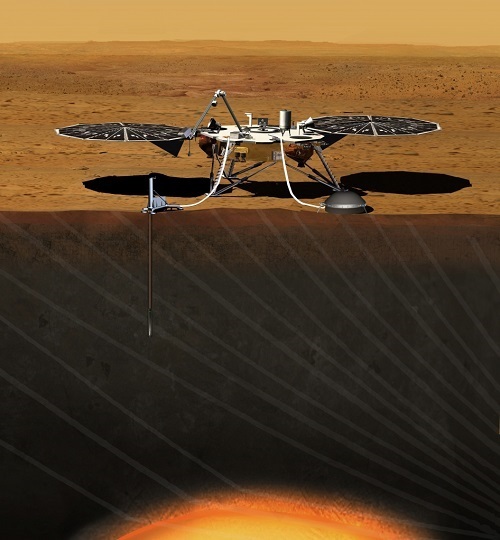 This announcement marks the end of an extensive global testing phase, including beta trials with live customers; the initial service is targeted at maritime and terrestrial applications, with Iridium Certus aviation solutions expected later in 2019, once certified. 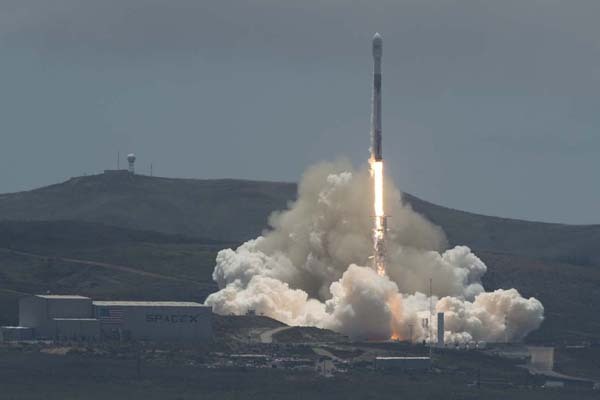 VANDENBERG AIR FORCE BASE, Calif. (SpaceX PR) — On Wednesday, July 25, 2018 at 4:39 a.m. PDT, SpaceX successfully launched ten Iridium NEXT satellites from Space Launch Complex 4E (SLC-4E) at Vandenberg Air Force Base in California. 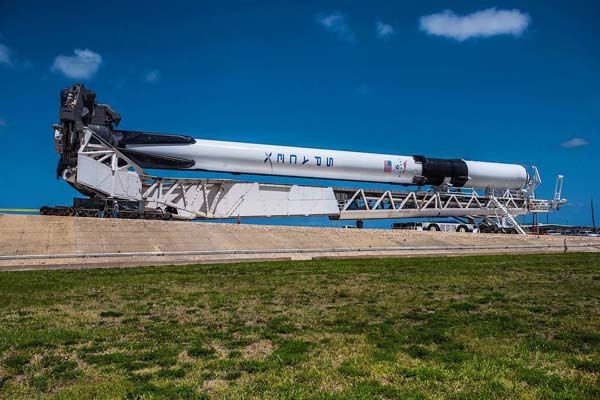 This was the seventh set of satellites in a series of 75 total satellites that SpaceX will launch for Iridium’s next generation global satellite constellation, Iridium® NEXT. 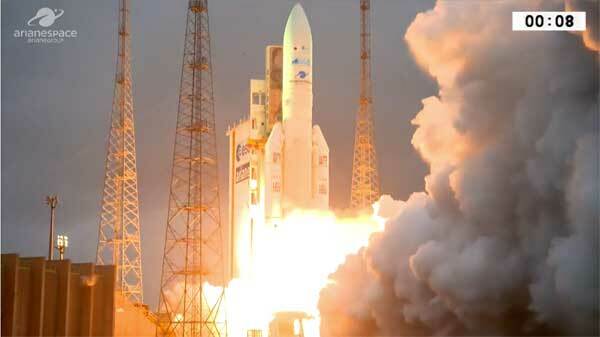 The satellites began deployment about an hour after launch. Following stage separation, SpaceX successfully landed Falcon 9’s first stage on the “Just the Read the Instructions” droneship in the Pacific Ocean. SpaceX successfully launched 10 Iridium Next satellites aboard a Falcon 9 rocket from Vandenberg Air Force Base in California on Friday morning. Iridium-NEXT satellites 41-50 were successfully deployed from the booster’s second stage about an hour after the launch at 7:13 a.m. PDT. It was the fifth batch of 10 Iridium-NEXT satellites that SpaceX has orbited using three different first stage boosters. This schedule is subject to change. Please visit https://spaceflightnow.com/launch-schedule/ for updates. NASA astronauts A.J. 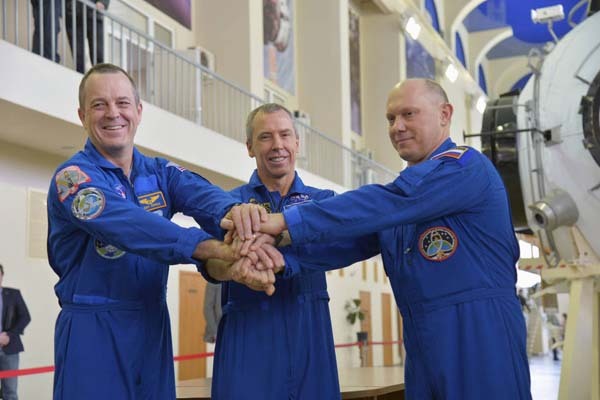 (Drew) Feustel and Ricky Arnold and Russian cosmonaut Oleg Artemyev will travel to the International Space Station. Some video I took earlier tonight of the successful Falcon 9 launch from Vandenberg Air Force Base. 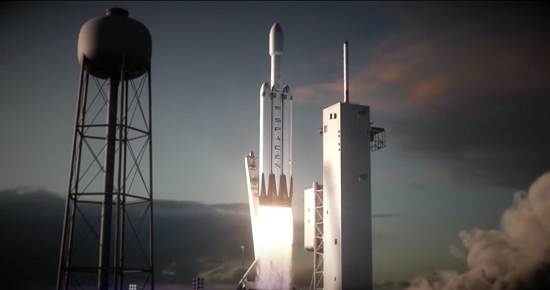 SpaceX has slipped the maiden flight of its Falcon Heavy booster to January. The rocket, whose first stage is composed of three Falcon 9 cores with 27 engines, will lift off from Pad 39A at NASA’s Kennedy Space Center. The flight will be preceded by a hold-down test on the launch pad in which all 27 first stage engines will be fired. MCLEAN, Va., Oct. 19, 2017 (Iridium Communications PR) — Iridium Communications Inc. (NASDAQ:IRDM) announced today that the fourth Iridium NEXT launch has been targeted by SpaceX for December 22, 2017 at 5:26 p.m. PT [1:26 a.m. UTC on Dec. 23], from Vandenberg Air Force Base. 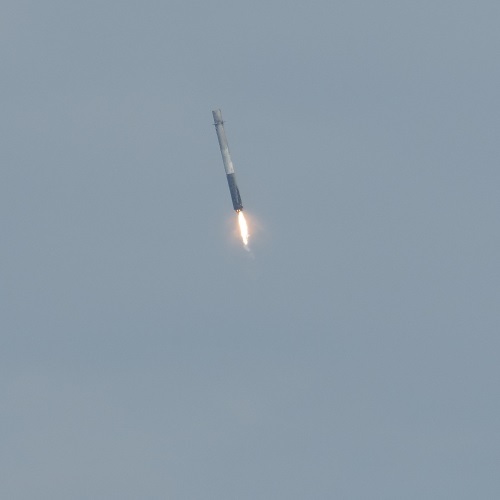 This launch signifies the mid-way point of the Iridium NEXT launch program and will deliver another 10 satellites to orbit, bringing the total number deployed to 40. 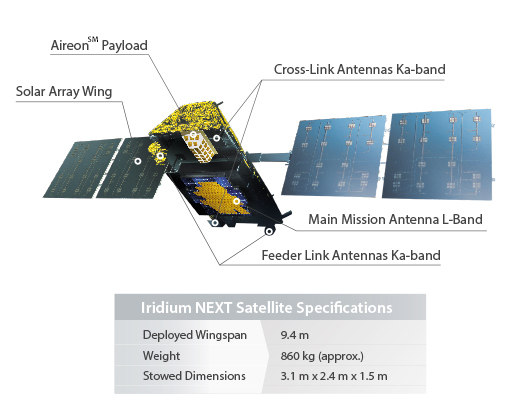 Targeted for just over two months after the third Iridium NEXT launch, this December date enables Iridium to maintain its planned cadence of completing all launches by mid-2018, even with SpaceX’s busy launch manifest.